After some pretty impressive seasons from Cleveland Browns quarterback Baker Mayfield and New York Giants running back Saquon Barkley, there was a debate to be had over who would win rookie of the year. Well, Barkley ended up coming out victorious and with Mayfield and Barkley embroiled in some friendly competitive spirit, Mayfield is looking to exact some revenge in the 2019 season. "Yeah, it's more frustrating than anything because Saquon, that's my guy, and he'll hold it over my head forever," Mayfield said in a recent interview with ESPN. "But you know what, I'll use that as motivation, and I'll be better in the long run." In the interview, Mayfield spoke about how important it is for him to start training hard for next season. He explained why he doesn't want to meet with a quarterback specialist though as sometimes their training methods are questionable, to say the least. "No, I'm not going to have any guy swiping a broom at my feet in the ocean, that type of quarterback training," Mayfield added. "I don't believe in that. I'll go to a normal gym where I trained last year. I don't need some guy to try and teach me how to throw. I'll have a guy that pushes me in workouts. Has other athletes in there. The intensity's up. It's a working environment." 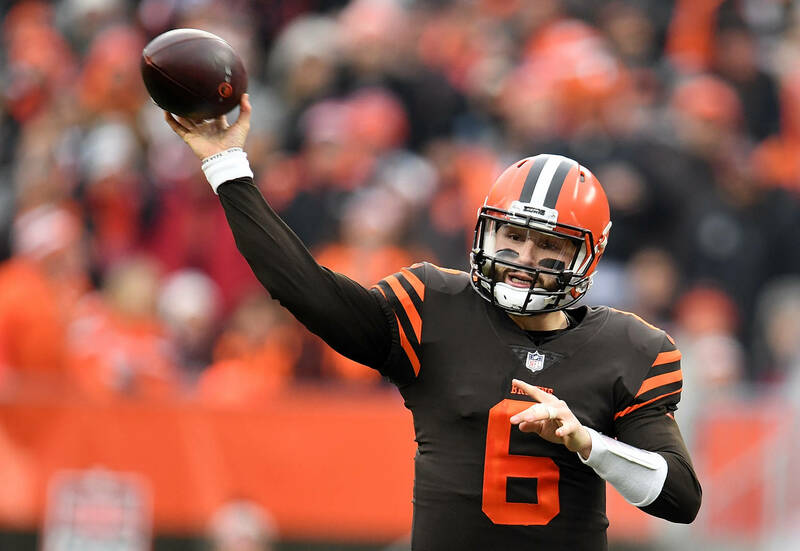 Mayfield led the Browns to a 7-8-1 record this season which is an infinite improvement on the team's 0-16 record the season before.